You are here: Home / Life / You Know That’s Permanent Right? You Know That’s Permanent Right? The four years of college make for a timeline of bad decisions. The biggest mistake people make during the best years of their life is getting things inked that they regret in places that they regret. There’s a reason why your stuffy boss only wears turtlenecks. 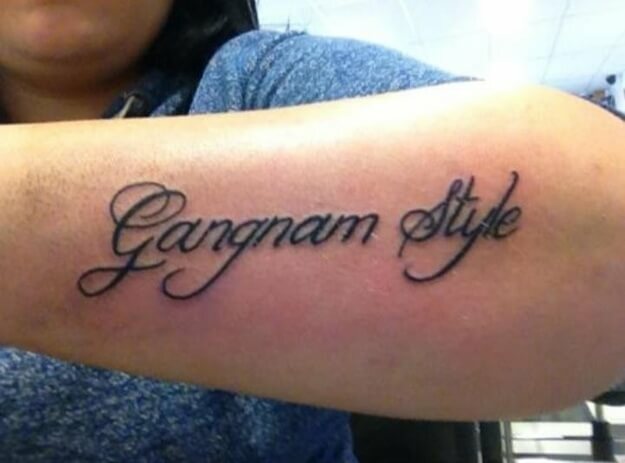 The most laughable mistake is when couples get matching tattoos. True love is an adorable notion but the truth is, that tattoo is much more permanent than that relationship. When the relationship ends you have to start getting creative and try to explain that that’s an actual four-leaf clover on your ankle and not your ex’s initials. Sometimes the recent fads prompt more permanent obsessions. Let’s face it, Gangnam Style might be this year’s party staple but who’s going to remember it 10 year’s from now? The more cultured bunch sometimes opt for tattoos in other languages, Chinese tattoos are a common one. Well the jokes on you, because not all badass phrases translate well into other languages. This poor guy wanted to show the world how loyal he is by getting “loyalty” tattooed on his body. Too bad he ended up permanently marking his love for noodles. 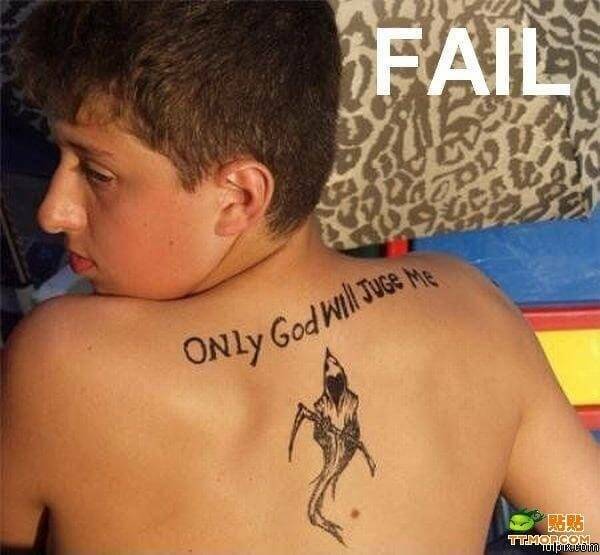 The funniest tattoo gaffes happen in English. As always, it may have seemed like a good idea at the time, but that hole-in-the-wall tattoo parlour you crossed on a drunken night abroad might have been run by a guy who barely passed 3rd grade. Should’ve looked it up on Yelp first. Next Post: Is He Worth My Time?